Should you Workout during the Cold and Flu? 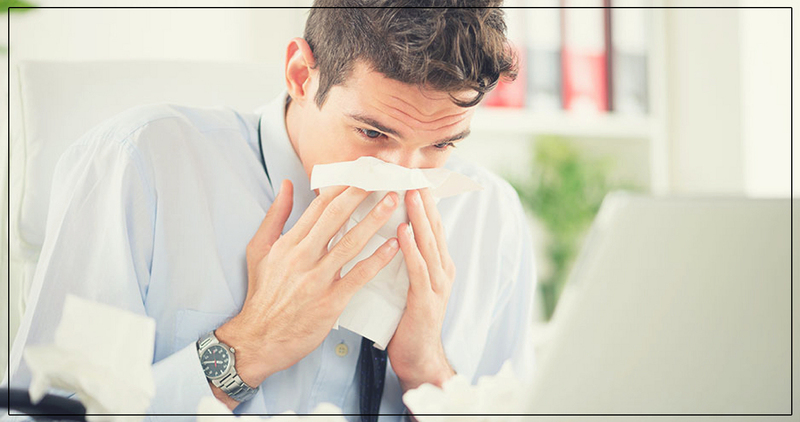 If you are down with symptoms like running nose, nasal congestion and sneezing, exercise is usually okay. However in the cases of coughing or shortness of breath, you should probably forego the workout. When you have fever, its a sign that your body is already fighting hard against the foreign substances. In this case, you should save the energy to combat the virus and skip the workout. A constant nasal drip can cause an upset stomach. If your gastrointestinal system is involved, you run the risk of being dehydrated if you work out. Especially if you are struggling with diarrhoea or nausea or vomiting, you should skip the workout and drink plenty of fluids, instead. When you have cold, you take on decongestants. According to Harvard medical School (Study), cold medicines have a common ingredient named pseudo-ephedrine. This tightens blood vessels in the nose and sinuses. It also tightens blood vessels throughout the body, which could increase blood pressure. With high blood pressure, working out with pseudo-ephedrine can put you at a greater risk for a heart-attack. During cold, you should listen to your body. If you feel better when you exercise, continue forward at a comfortable pace. If you feel bad, then take a break. Taking a few days off from workout would not reduce your performance long term, and may even give your body a much-needed break.